Although they are Invisalign, which means the trays are clear and plastic, I can't really wear lipstick anymore. Since I got my braces in October, I found that whenever I leave the house with lipstick on, my trays get smeared with colour by the time I get to a party or event. It's not that big of a deal, but I do feel a bit self-conscious at times, in turn opting out of painting my mouth red, or any colour for that matter. I've now switched to gloss. I remember in high school when gloss was "cool" and everyone had different sticky, sparkly shades. Somewhere along the line, we all got sick of getting our hair stuck to our mouths, and swapped it out. I've managed to find what I deem, adult gloss. 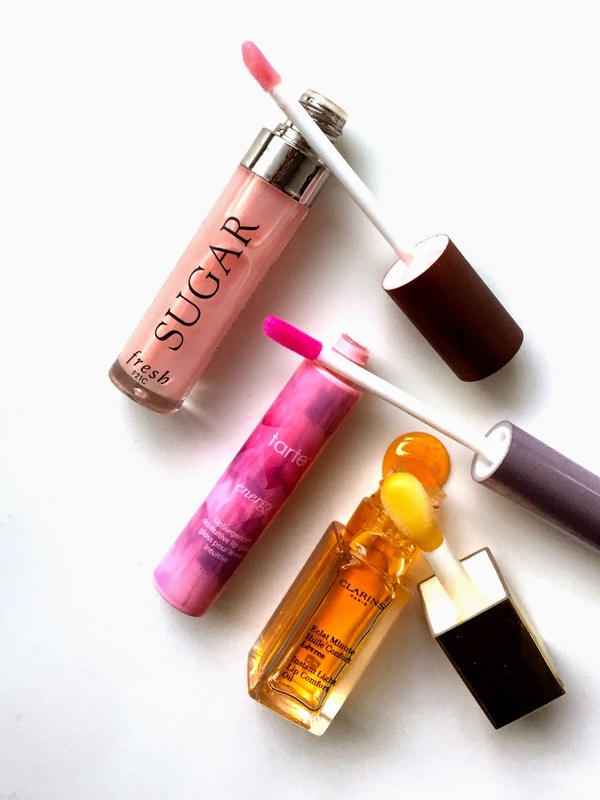 Non-sticky versions that hydrate lips, and still give my mouth some shiny attention. It's the upgraded version of your high school crush, who now has a real job, and doesn't wear baggy golf shirts anymore. Such a funny post! Love it!